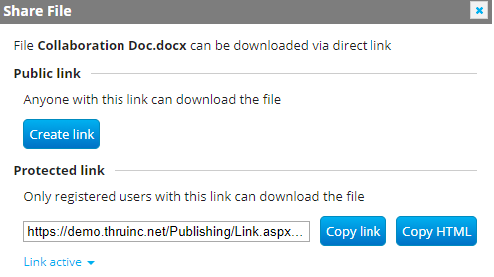 Links to Files can be shared with and without protection and shared externally. 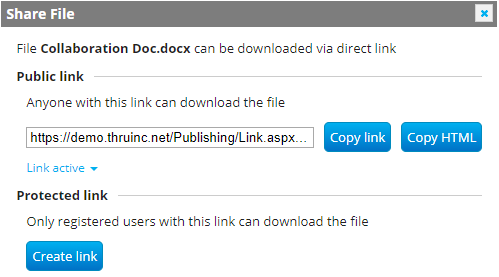 When a Protected link is created, Only registered users can download the file. 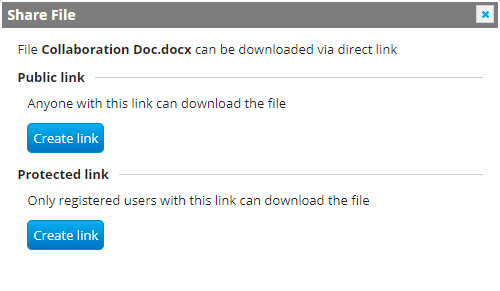 In other words, recipients of a protected link must self-register a user account and create a password in order to access the protected link.